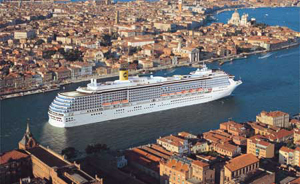 Our 7 luxurious ships call at the shores of 73 ports in 22 countries, with voyages ranging from 5 to 16 nights. And this year, you can select from 194 sailings encompassing 42 itineraries. Make your dreams come true in Costa's inimitable Italian Style. *Cruise-only fares do not include (i) the cruise fuel supplement, if any, and (ii) certain government taxes and fees on cruise travel from $6.20 to $110.89. Fares and government taxes and fees are subject to change before payment in full. Fares are in US dollars and are valid for US and Canadian residents only. Fares are per person based on double cabin occupancy for the lowest cabin category, subject to availability, and may be higher for desired travel dates. Fares are for new bookings only and cannot be combined with other offers. A deposit per person of $250 for Caribbean and $400 for non-Caribbean cruises is due at time of booking. Cancellations may not be refundable and changes are subject to booking class availability. A $50 administrative fee is charged for changes after documents are issued. Costa reserves the right to re-instate the cruise fuel supplement at up to $9 per person per day if the NYMEX oil price exceeds $70 per barrel. Additional restrictions apply. Consult our Terms and Conditions.